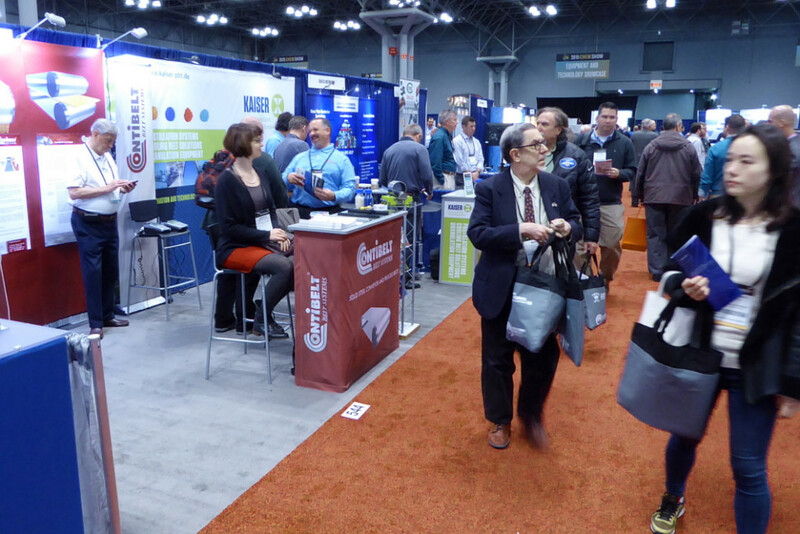 This years Chem-Show in New York City was a great success! Not only did we present our V-rope grey to the public, but celebrated our 25th anniversary that’s coming up 2016. 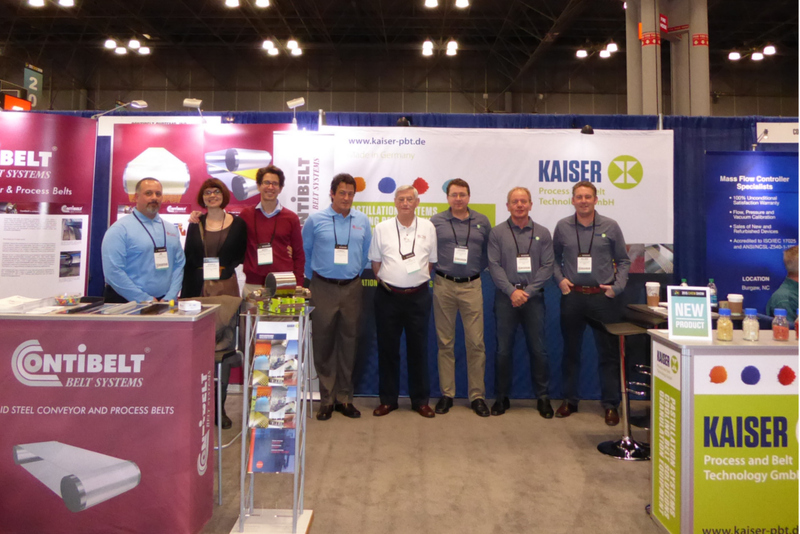 Our booth was combined with Kaiser (http://www.kaiser-pbt.de/EN/) – the inventor of the “Rollomat” pastillation system. This way customer could find the belt and the machine at the same booth! Our technical experts and sales personal gave advice and discussed production processes with customers. 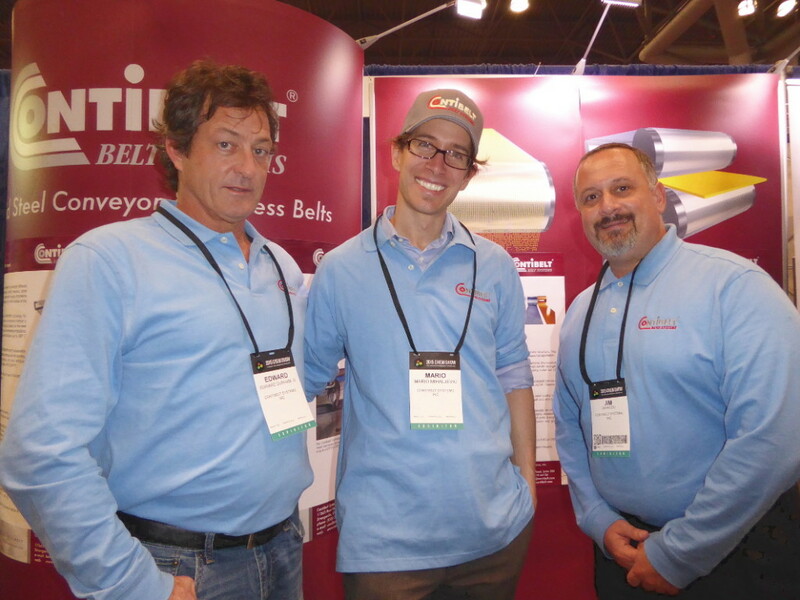 We provided helpful information for the benefit of our booth visitors – and had fun at the same time! Eduard, our sales manager of the southern states, on the left and Jim, our sales manager of the northern states, on the right. Contibelt, its affiliates and joint corporations (hereafter referred to as CONTIBELT) believe the information contained herein to be reliable. However, the technical and commercial information is given by CONTIBELT without charge, and the user shall employ such information at own discretion and risk. CONTIBELT assumes no responsibility for results obtained or damages incurred from the use of such information in whole or in part.